It's the most wonderful time of the year in Georgia! Fall, it's the perfect time for both hot or cold tea. The elves at Wrapped Up N U are thrilled to add Teasia to our Holiday Gift Guide for 2016. Not sure if you know it or not but we southerners love our sweet tea! Not only is Teasia delicious it's all so good for you. We were sent the Floral Series Variety Pack for our holiday pleasure. It currently retails on the website for $23.40 for a box of 36 k-cups. Each of these k-cups can be used twice, so it's really like having a box of 72. You can use the code FSWRAPPED to receive free shipping on your order. The first thing we noticed was how pretty and well designed the box is, making it perfect for gift giving. The k-cups are also well designed and colorful. The k-cups are Keurig 2 compatible, We happen to own an iCoffee brewing system and it works wonderfully with it. I wish I could add smell to my blog-it's unbelievable. 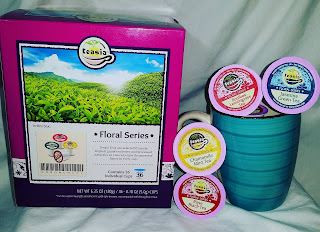 The Floral Series Variety Pack contains: Jasmine Green Tea, Rose Black Tea, Chamomile Mint Tea, and Rooibos Lemongrass Tea. The tea has beautiful names and they are mad of quality ingredients. The k-cups make it so convenient to brew these specialty teas in your home. The flavor is what wins us over in the end. We do take our tea with a little sweetness, not that it really need it. 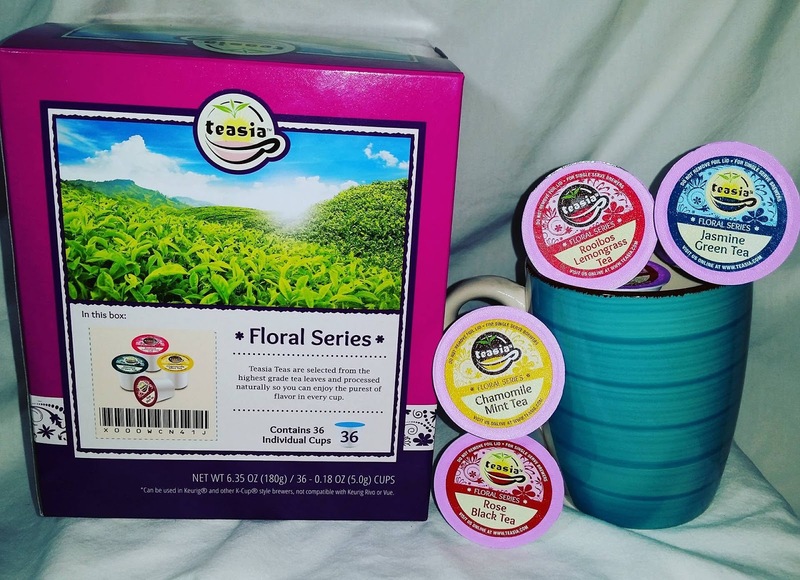 For all these reasons we think Teasia would make the perfect gift for the tea lover in your life. Teasia also gives back generously to charities. To find out more about the health benefits of Teasia products click here. You can also click here to see all the varieties they have to offer.